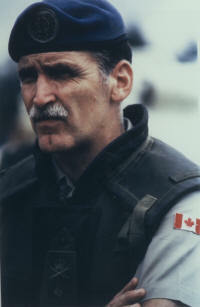 Featuring a keynote address by Lieutenant-General the Honourable Romeo A. Dallaire, retired, the 2006 Human Security Award recipient (presented on October 11, 2006). 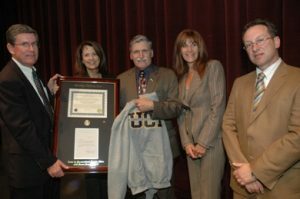 General Dallaire is an Officer of the Order of Canada, Grand Officer of the National Order of Quebec and has been awarded the United States Legion of Merit. He is also the first recipient of the Aegis Award on Genocide Prevention, the United Nations Association of Canada’s Pearson Peace Medal. His recently published account of the 1994 Rwandan genocide Shake Hands with the Devil – the Failure of Humanity in Rwanda, has earned international recognition as well as the 2004 Governor General’s Literary Award for Non-Fiction and the “Shaughnessy Cohen Prize”for political writing awarded by the Writers’ Trust of Canada.